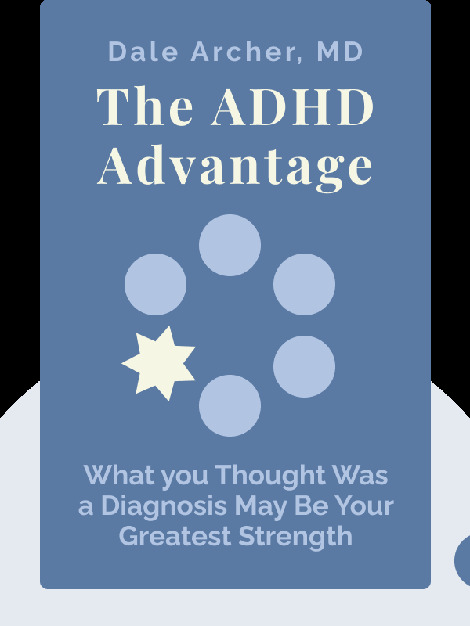 The ADHD Advantage (2015) provides new insights into ADHD, debunking false assumptions and unveiling the positive sides of this condition. These blinks explore how anyone with ADHD – children, young people and professionals alike – can be nurtured and supported to reach their full potential. 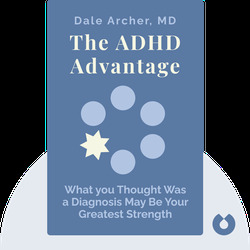 Dale Archer is a Medical Doctor, a board-certified Psychiatrist and a Distinguished Fellow of the American Psychiatric Association. He has run his own private psychiatric practice for 25 years, and was recently appointed by the Governor of Louisiana to serve on the Medical Advisory Board. In 2013, he published Better Than Normal: How What Makes You Different Can Make You Exceptional, a New York Times best seller.